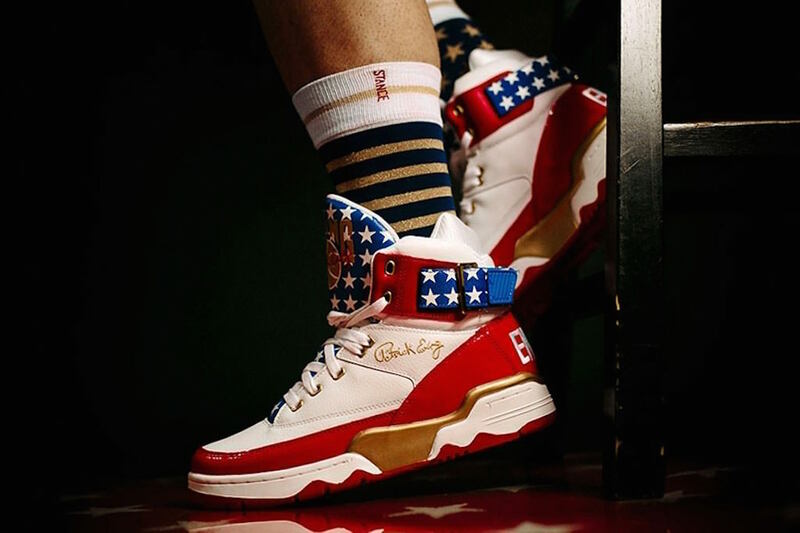 Check out these limited Independence Day footwear releases from different brands that you know and love. It’s the first day of July, and we’re here to give you a roundup of limited edition, patriotic releases of both running shoes and various other sneakers that you should check out and get your hands on ASAP. There isn’t a whole lot of releases this year unlike in the past years, but nonetheless, they’re still pretty awesome designs and colorways from the models and brands that we already know and love. We’ve divided this piece into two different categories: The first is for Running Shoes and the second is for lifestyle shoes. There’s something for everyone, especially if your American pride’s coursing strongly through your veins. We have a review for these bad boys on the site, and they just released a new limited colorway for it. This is perfect for your athleisure goals on the 4th of July. 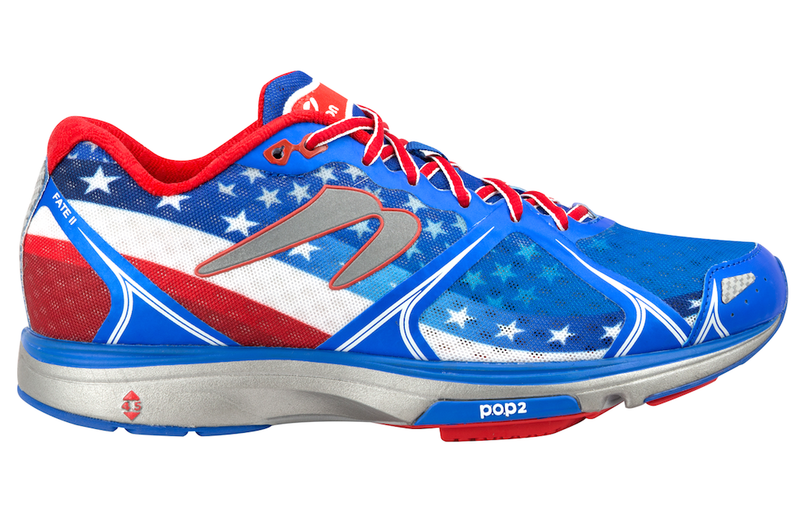 You can go from your daily run to your family’s Independence Day barbecue without having to change your shoes. And yep, nothing screams “America!” more than the traditional stars and stripes incorporated with red, white, and blue. 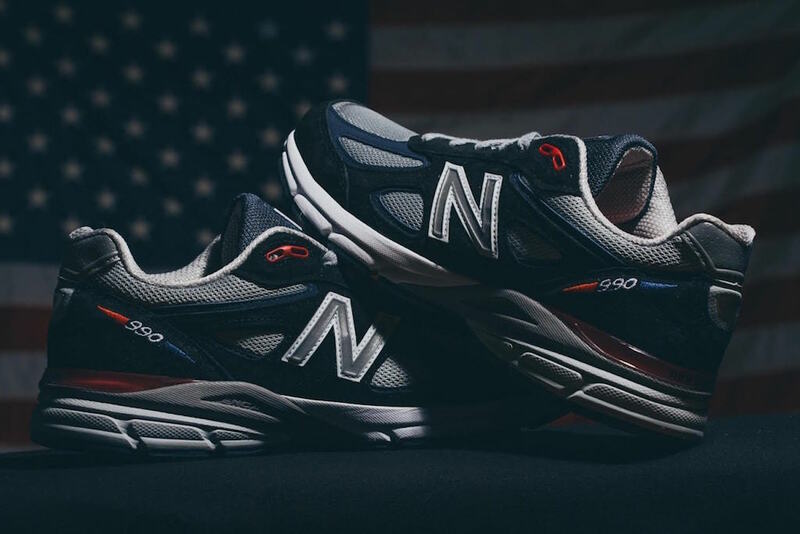 DLTR is known more for their street merch and releasing Nikes and Jordans, but they just recently collaborated with New Balance for a limited edition Stars and Stripes version of the NB 990. This pair stands out from other 4th of July releases because of the fact that it’s black and blue instead of being red, white, and blue. 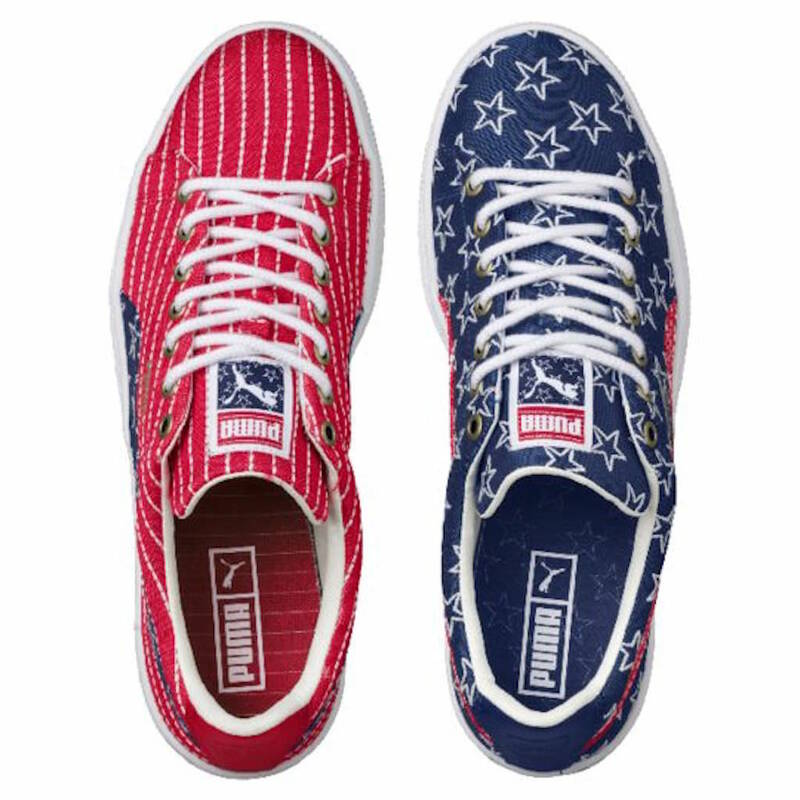 The main thing that shows off the patriotism of this release are the stars and stripes. And knowing New Balance when it comes to running shoes, then you’ll surely want a pair of these. 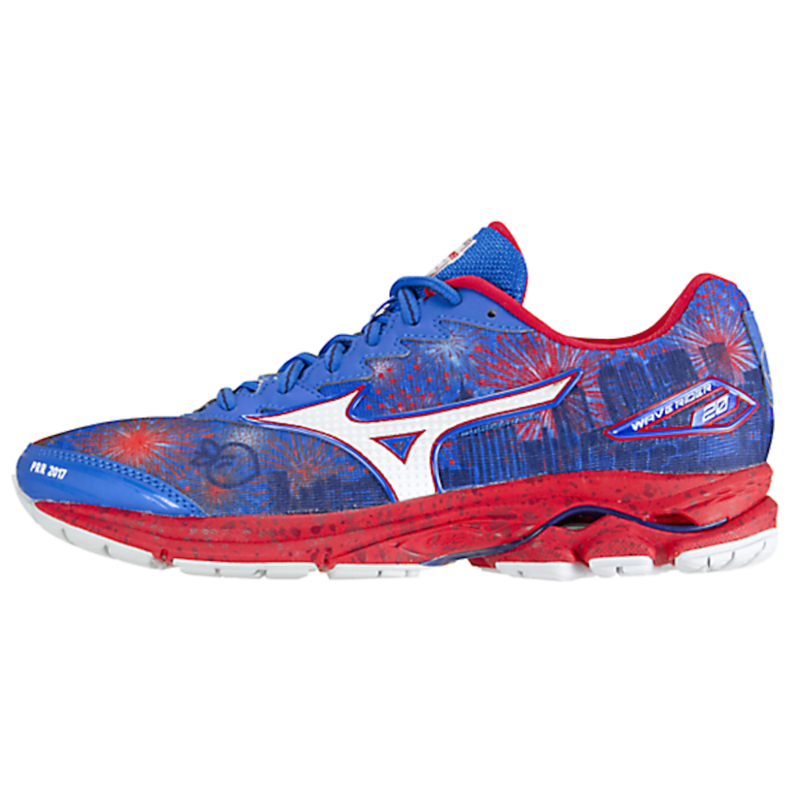 Mizuno’s Wave Rider 20 just got a very patriotic makeover, and it’s only available on their website until supplies last. This design isn’t just a celebration of US independence, it’s also a commemoration of the 10-km 2017 Atlanta Journal-Constitution Peachtree Road Race that’s held in Atlanta, Georgia every 4th of July since 1970. Why celebrate this race with a running shoe release? Well, the AJC Peachtree Road Race is the world’s largest 10-km race, with up to 60,000 people participating yearly. Mizuno did something good with this collaboration with Peachtree. Not only did they put focus on a historical race, they’re also giving fans of the Wave Rider 20 another excuse to purchase it in a different colorway. Newton Running isn’t really every runner’s go-to brand when it comes to running shoes, but they do know their stuff– well enough to release special editions to commemorate events. 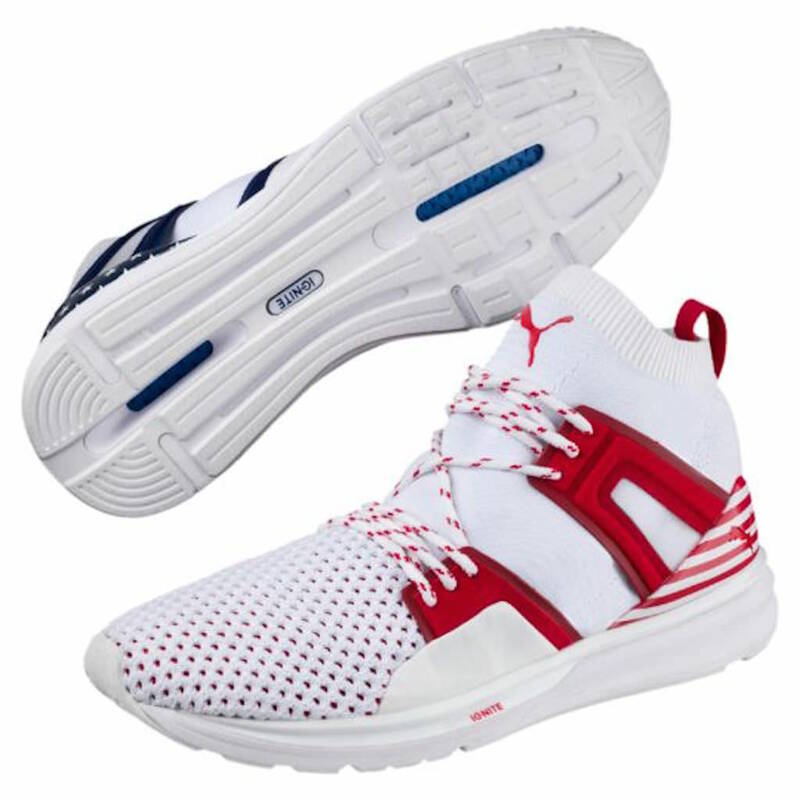 They a very American touch to their Fate II, with people on their website praising the brand for releasing a colorway that showcases patriotism using one of their most sought-after running shoe models. Just look at how the color pops out on these shoes! Even if you run at lightning speed, there’s a good chance that this pair would still catch people’s eyes. Christine is a 20-something who used to run a whole lot as a kid and still tries her best to run regularly as an adult to stay active. She’s also a volleyball and fencing enthusiast. 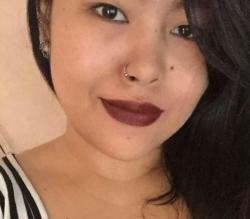 At the moment, she’s raising five dogs and divides her time between Manila and Tokyo.